Mighty Jaxx is teaming up with artist Alex Solis to launch an exciting new vinyl figure series, Baby Terrors, which will depict the scariest horror movie villains of all time as comical babies! This collaborative series is based on Solis’ nostalgic, pop-culture illustrations where he reimagines iconic monsters, killers, maniacs and other terrifying characters from fan favorite horror movies and tales in their infant years. 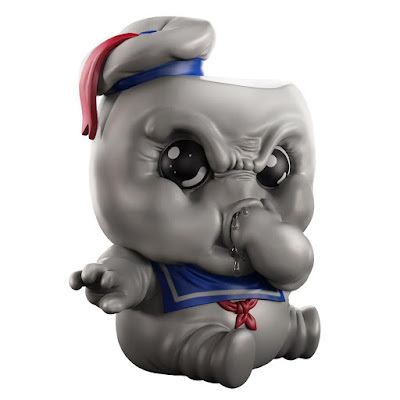 Baby Terrors kicks off this weekend with its very first release, Baby Puft! Based on the beloved Ghostbuster villain, Stay Puft Marshmallow Man, Baby Puft stands a whopping 8” tall and is made of soft vinyl. This awesome new figure will be available in limited quantity at 10am EST this Saturday, March 11th, at the Mighty Jaxx online store.